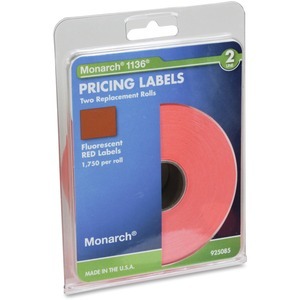 These fluorescent labels fit Monarch model 1136 Two-line Labelers. 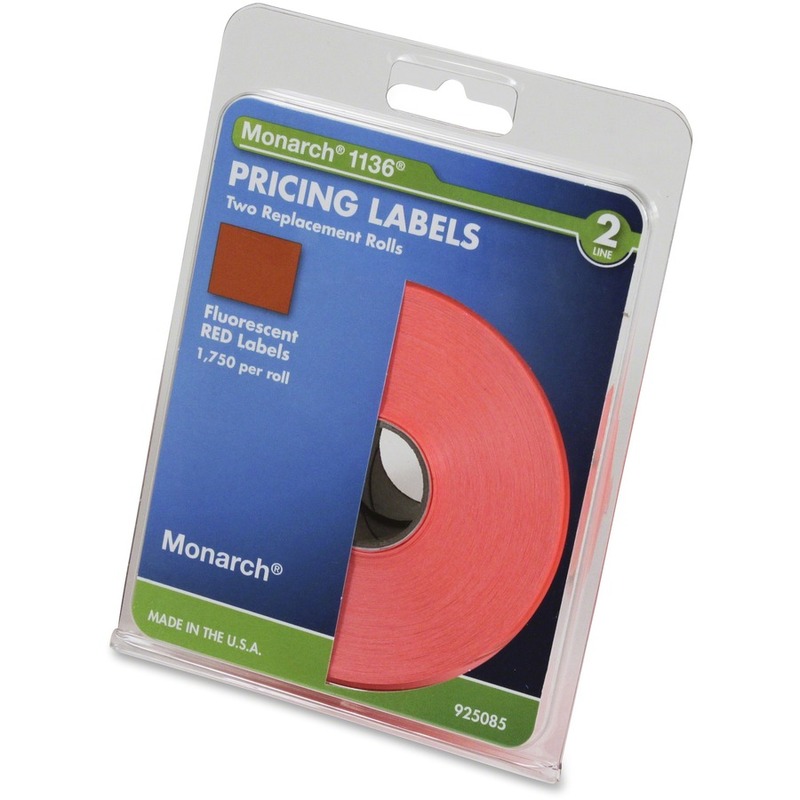 Each roll feature 1,750 labels and general-purpose adhesive that adheres in all temperatures. Fluorescent color makes your labels more eye-catching.